Rex is an independent financial advisor who specializes in comprehensive wealth management. 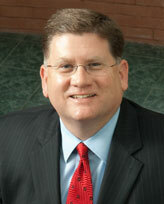 He began his private practice in financial services in 1989 and soon became a district manager of AXA Advisors, LLC. In 1997, he resumed his private practice and transferred his broker/dealer services to Commonwealth Financial Network® seven years later. Rex is consultative in his approach and believes that clients are able to implement financial strategies only when they understand the strategies. His meetings are educational in nature and are designed to explain and simplify the complicated world of wealth management. He is dedicated to establishing and maintaining deep, enduring relationships with his clients and works hard to provide leadership, support, and communication through dynamic market conditions. Outside of work, Rex spends time with his wife, Terri, and their three children—Van, Victoria, and Clay. He enjoys playing golf, traveling with his family, and reading for pleasure. He is a member of his local church, the Wilmington Rotary Club, and other community groups.